It's fair to say to say it's been a while since I've written a arts-based post, so for those of you who who follow me for my photography and art posts, this one is for you. 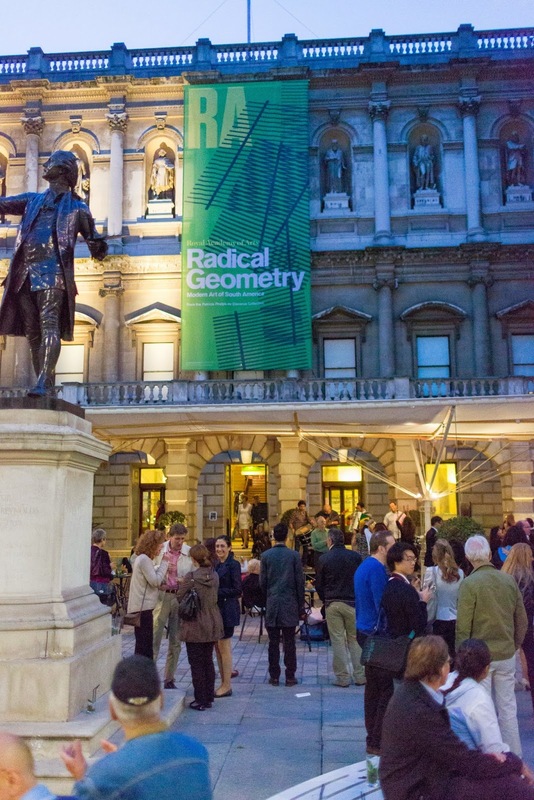 I recently went to a bloggers' reception, at the Royal Academy for their Radical Geometry exhibition that is currently open, with Laura, who you met when I went tea-tasting. It was a lovely Friday evening. We all sat in one of the rooms at the Keeper's House as we were given a talk about the exhibition by Beth Schneider, Head of Education and Learning at the RA. 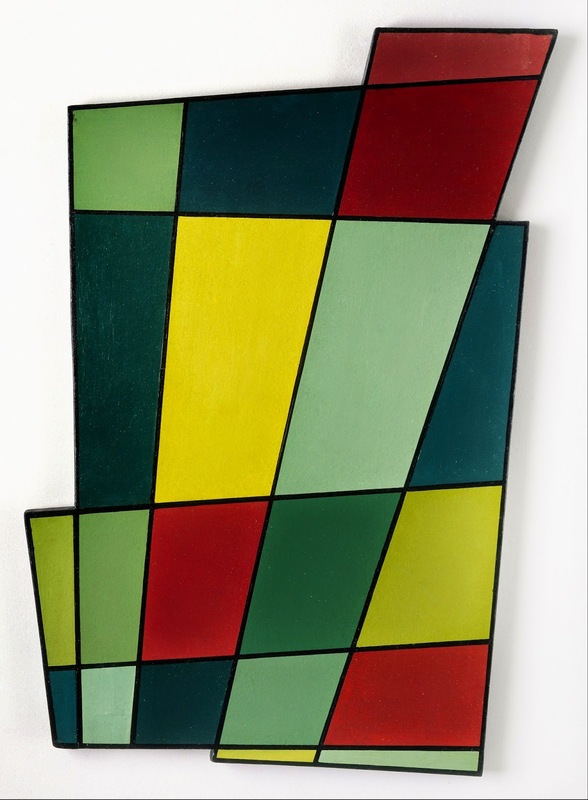 Beth gave us a background to the exhibition, telling us it is about artists who used a new and abstract style of art to represent their utopian dreams in Latin America, with some having spent time in Europe. The region was in a period of absolute modernity, with people migrating there from all around the world. It is because of this that many of the artists, featured in the exhibition, have surnames from around the world. Being a time of modernity, meant it was also a time of hope too. After the talk (and mojitos) we explored the exhibition itself. The artworks on display are interactive and you can't help but engage with the works. Laura and I spent lots of time analysing each work. I found it really fascinating how despite the paintings being static as works they felt so energetic and full of movement. Torres-Garcia's work, for example, was full of Inca symbols and introduced modern symbols like the train. 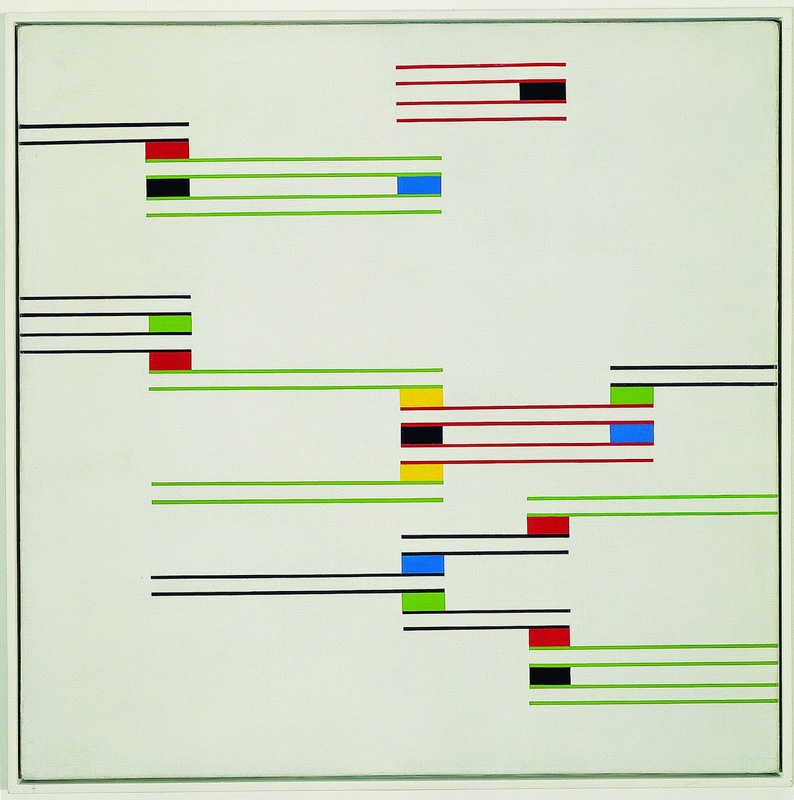 There are different sections of the exhibition dedicated to Argentina, Brazil and Uruguay to name a few, highlighting the regional differences in style as well and many of the works are featured for the British public for the first time. There were a lot of things I liked about the exhibition; it introduced artwork from an area of the world that we really don't get to see much of in England compared to America. 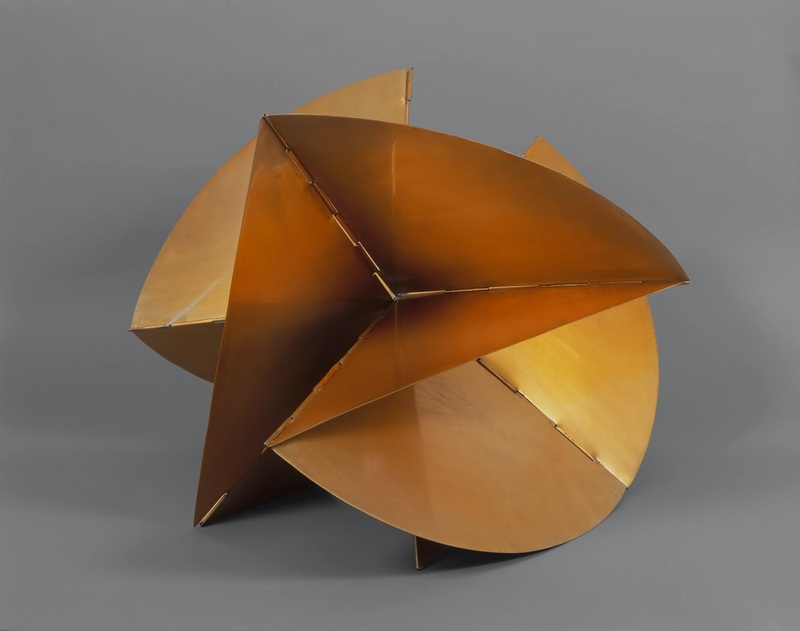 Also, the works are outstanding; it's amazing how much you just want to touch them, like Jésus Soto's nylon cube and Lygia Clark's Machines (which were designed to be played around with-see image below). Unfortunately, cameras aren't allowed in the exhibition due to copyright reasons, but that ultimately means you can really spend more time with the works. For example, when you leave the exhibition, below is the final piece of work you see. It is absolutely stunning and feels so magical. This photo does not justify any of that (all the more reason to visit the exhibition!). The way the colours change as you move from the right to the left, or move from the left to the right as they change with the light, is just dazzling. Laura and I felt like we were children again when we saw this piece. I think of all of them, this really was my favourite and I think it really emphasises how the the exhibition works all encourage that interactivity with the viewer. After we finished wondering through the exhibition, we were treated to more mojitos, Latin American food and to the music of the Brazilian Grammy award winning accordionist, Zeu Azevedo (who we were told is the Mick Jagger of the accordion world) and North Brazilian dancing! After a Latin American evening, we decided we were a little peckish so headed to Wahaca in Covent Garden. I've been there a few times, but it's fair to say Laura is an expert on Latin American food. On her suggestion, we ordered guacamole, tomato salsa, frijoles and tortila chips as a starter, followed by prawn ceviche for me and chicken tacos for Laura. We debated for a bit as to whether to order dessert, but we caved in and Laura had the chocolate tres leches cake whilst I had the salted caramel ice-cream, which is now my favourite ice-cream flavour, especially as it had plenty of dark chocolate bits. So a great Latin American evening in all, and thanks to Royal Academy for hosting a lovely reception. The exhibition is currently open until 28 September and I highly recommend it. For more information, visit the RA's website. Disclosure: I was invited to the exhibition and reception, however all views are my own.